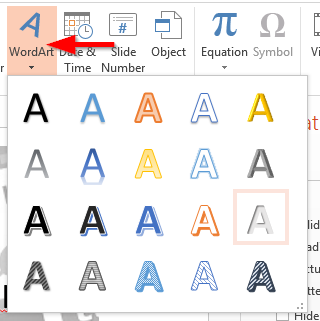 How to embed a Word document into an Excel 2016 / 365 / 2019 workbook? Applies to: Excel 2019, 2016, 2013; Office 365; Windows 10, 7 and macOS. I believe i have seen a Microsoft Excel worksheet that had a Word document embedded in it. Can you explain how can i insert Word files into Excel? I am using Excel 365. Thanks for the question. One of the key benefits of an integrated productivity suite, such as Office, is the ability to insert file objects , in this case Word document files, into other Microsoft Office applications, mainly Excel and PowerPoint. So without further ado, here’s a quick tutorial that is aimed at explaining how you can embed an object (being a document, presentation, diagram, notebook) into Excel. We’ll demonstrate the process by adding a Word file into a workbook. First off, open Microsoft Excel. Then hit File, then navigate to the Open tab, search and open for your Workbook. (Tip – consider pinning files for easier access in the future). 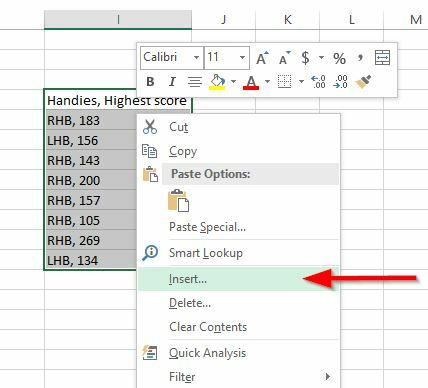 Navigate to the relevant worksheet in your Excel file. In the right hand side of the Ribbon, hit Object (located in the Text group of the Insert tab). At this point, you can either add a new Word file to your worksheet or an existing one. Select Create a new file and pick Microsoft Word as the object type from the drop down list to add a brand new document or select Create from file to add an existing file to the spreadsheet. Now, go ahead and adjust the look and feel of your embedded object so it will fit your spreadsheet layout. And obviously, don’t forget to save your Excel spreadsheet on your computer or OneDrive. In a similar fashion you are able to insert your Word doc as an attachment to the worksheet. Follow steps 1-6 above, but be sure of highlighting the Display as Icon and Link to File check-boxes before moving to step 8. Your document will displayed as an icon on your spreadsheet, which you can double click to open it. As shown above, by using the Link to File feature, you can easily link to any embedded file or icon in your spreadsheet or document. As shown above, embedded files can also be displayed as links or icons in your spreadsheet. The process we just outlined applies for adding any type of files (including if needed, image, graphs, equation objects and so forth) into an Excel spreadsheet. Navigate and open your spreadsheet. Now, go ahead and hit Select Object. Select Microsoft Word document to insert a brand new file, or hit the From file button to add an existing doc to your worksheet. Last hit OK, and don’t forget to save your file. If you are using Microsoft Office on MAC, you’ll be able to embed Word docs, but not PowerPoint presentations nor Visio diagrams. How to remove password protection from Excel 2016 / 2019 workbooks? Applicable: Excel 2019/365/2016; Windows operating systems. Dear Team – some time ago i have created a quite sophisticated Excel spreadsheet for my manager which i password protected for increased security. The thing is that it seems that i have forgotten the password which i previously set. So i guess my questions is whether i can reset the workbook password protection since i have forgot it? Many Thanks! As we just saw, in Microsoft Office we are able to set a password protection for our Excel files. In this tutorial , we’ll learn how to reset those spreadsheet protection password so you can edit the file contents. Although we are focusing on Excel in this post, the explanation below is mostly applicable to Word and PowerPoint files as well. We have the option to encrypt the entire file: so that a password is required to open the spreadsheet. Protect the worksheet structure and contents: same as above, however applicable at the sheet level. The method for un-protecting each is described below. Open the password protected document. Hit File and select the Protect workbook. In the drop down box, select Encrypt with Password. Delete the letters in the password and click OK.
Now, your document password is removed. Special Bonus: Download our free PDF Excel 2016 tips guide. Include 6 essential Excel 2016 how-tos to boost your productivity. Click on the selected protect Workbook under Review. Enter the respective password in the Unprotect Workbook dialog. Click on the Unprotect Sheet in the Review. Enter the appropriate password to Unprotect sheet. Got any follow up questions? If so, look at our guide on how to get your Excel questions answered. How can i divide or split text between cells in Excel 2016 and 2019? Applicability: Excel 2019, 2016, 2013; Office 365 and standard; Windows 7, 10 and MAC OS X. Read further for the procedure – which applies with minor variations to Microsoft Office versions starting 2010. This technique is specially useful when interacting with data which is delimited by commas (CSV files) , semi colons, tabs, spaces and so forth. Open your Excel and open the database in which the Columns has to be separated. If you have Data’s in the next cell, select the cell and right click on it. Click on Insert and select Shift Cells Right. Now, select the whole column which has to be separated. Click on Data in the ribbon and Select Text to Columns. 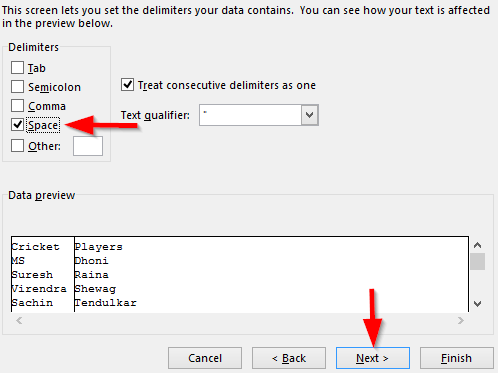 Click on any one of the option in the Delimiters and select Next. Say for Example I have selected Space for separation. 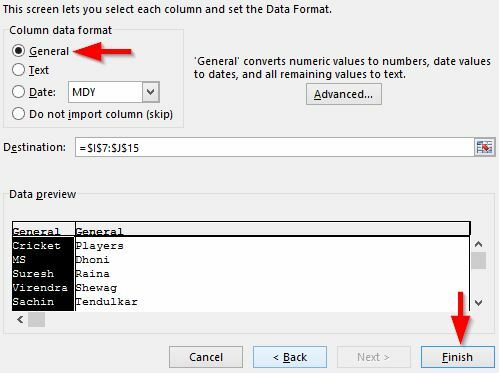 In the Column Data format Select your option if needed. It will be General as Default. To select in which cell the separation has to be done, Click on Destination and select the cells. After you have done with the selection, click Finish. Open your spreadsheet and select the column cell which has to be divided. Again make sure no data is available next to the dividing cell. In your Excel header menu, click on Data and select Text to Columns. Select Fixed width and Click on Next. 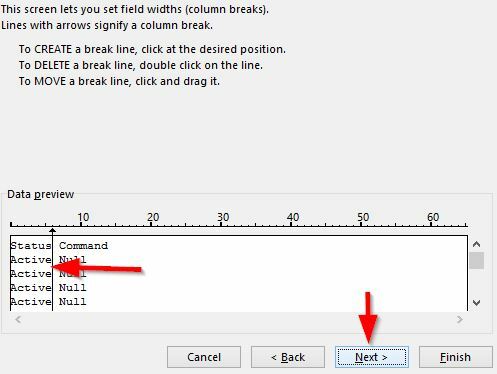 For deleting, double click on the break line. For moving, click and drag the break line. Click Finish after selecting your format. To split merged cells, click on Merge & center and select Unmerge cells. How to freeze rows and colums headings on Microsoft Excel 2016? From time to time i receive or develop Excel spreadsheets which contains huge data tables. One of the challenges in this case is how to ensure that the first rows and columns stay visible when you scroll through the table, so it’s easier to correlate the data itself with the row/column heading. Open the relevant Excel worksheet. From the Excel 2016 ribbon, hit View. In same cases, however, you might want to lock more than one row or column. This is best shown by using the example below. If i highlight cell C3, and hit Freeze Panes. Rows 1and2 and will be locked, as well as columns a and b. You can always unlock the frozen columns and rows by selecting Unfreeze Panes. How to auto spell check in Excel 2019 / 365, 2016 and 2013? Applicability: Office 2019, 2016, 2013; Office 365 and Standard. Windows and MAC OSX operating systems. Using Excel 2016 on Windows 10. As i am quite a fast writer i accidentally make quite a bit of spelling mistakes. For some reason i would expect that Excel would spell check as i type into the cell. If i recall correctly, Word does by default auto corrections in documents, so i would expect that Excel will behave similarly or i am wrong here? To me it seems that the Excel 2016 speller doesn’t work… How to spell check in my Excel spreadsheet? Thanks for your question. It’s a good one. Spelling check is indeed one the key capabilities of the Office suite. As far as Text proofing, there is a fundamental difference between Excel and Word (or PowerPoint and OneNote). Turns out that Excel doesn’t have the ability to auto correct your spelling and grammar as you type text in the spreadsheet unless defined in the AutoCorrect Options (see below how to do it); whereas Word and PowerPoint do auto correct as you type. Let’s get started with Excel. The spell checker in Excel is located in the Review tab. Inthe Ribbon, open the Review tab. Your worksheet will be analyzed for errors, and Excel will provide suggested corrections in the Spelling dialog. In case of false-positives, you could Add to Dictionary relevant words or terms. Alternatively, hitting the F7 button will achieve the same results. Once done, hit on OK.
Save your work as needed. The Spelling dialog which we just reviewed in the section above also allows you to trigger an AutoCorrect action. AutoCorrect automatically amends your content according to the rules you have defined under Options>>Proofing. Automatic capitalization of first letters in a sentence. Correction of Caps Lock accidentally pressed. Note: Remember, the AutoCorrect capability spell check is not triggered automatically in Excel, you have to invoke it on your own. That’s the reason that Excel can’t spell check as you type your text. For completeness, in this section we’ll go ahead and review how the spell checking correction options work on Microsoft PowerPoint and Word. Open the Word or PowerPoint file that you want to proof check. You can always find the Spelling & Grammar option under Review tab in the Proofing group. This will check the entire document for spelling errors. Alternatively, you can do this by just pressing F7 key, which ‘ll do the same job. As mentioned above, Word automatically checks your content and grammar as you type those. If for some reason, this capability is not enabled in your system, proceed as following. Click on Options under File menu. In the pop up window that opens, select Proofing. Under When correcting spelling and grammar in Word/Excel, check your desired options and click on OK. If for some reason, you would like to turn off ongoing auto spelling and grammar corrections as you type in your document, just go ahead and uncheck the first two boxes in the section highlighted in the section above. How to secure Excel worksheets and Powerpoint presentations in Office 2013 and 2016? Open the Excel worksheet/Powerpoint Presentation that you would like to secure. Under File menu, select Info. 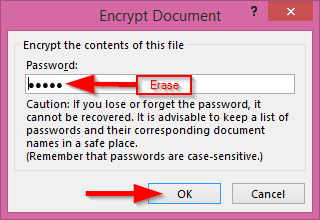 In Excel 2013, you’ll find Protect Workbook drop down.Click on it and select Encrypt as password. In Powerpoint 2013, you can find this option under Protect Presentation drop down. In the pop-up window that opens, type in your desired password and click on OK. In Excel 2013, you can control what type of changes people can make by selecting Protect Current Sheet in the Protect Workbook drop down. This option is also available under the ribbon Review -> Protect Sheet. How to split worksheet cells in Excel 2013 / 2016 / 2019? I am working on a statistical report in Microsoft Excel, using version 365. I just imported a comma separated value file into the A column and nowneed to split a column cell vertically into two “halfs”. Any simple way to get that accomplished? If it helps i am using Windows 10. Thanks for the good question. For these scenarios i typically use the Text to Column feature, which serves my purpose pretty well. See below the full details. Highlight the cell(s) that you would like to split in halfs. Now under Data tab, click on Text to Columns, that opens a dialog box. Delimited – Splits text with a specified delimiter like comma, space, tab etc. Fixed Width – Splits cells with a fixed value that is set. If you select Delimited, you need to specify the delimiter in the next page. With the latter, you can drag the pointer to a particular width under Data Preview and click on Next. 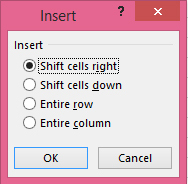 Once you are done, click on OK and now you get the cells split as you specified. 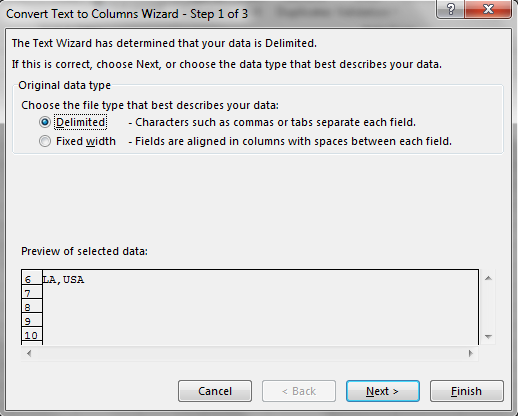 You can specify the type/format of the new column under Column data format. Also, you can modify the destination of new column(which is the next cell by default) under Destination. How to insert a form in Microsoft Excel 2013? Sometimes you would like obtain user feedback and use it as input in your Excel worksheet logic. Using form controls such as buttons, radio buttons, labels, check boxes, combo boxes, text-field labels etc’ allows you to capture information in an easy and intuitive way. Select File menu and click on Options. In the dialog box that opens, select Customize Ribbon. Check Developer under the Main tab and click on OK.
Once you have enabled the Developer tab, you can go a head and create your custom form very easily. Under the Developer tab, you will find an Insert option with which you can insert form controls. Click on a form control and drop into your worksheet and you can build a form in Excel. Then author your data entry form and assign it buttons, check boxes and other controls as required. Your last action will be to either write custom macros or VBA code to automate form action as needed.